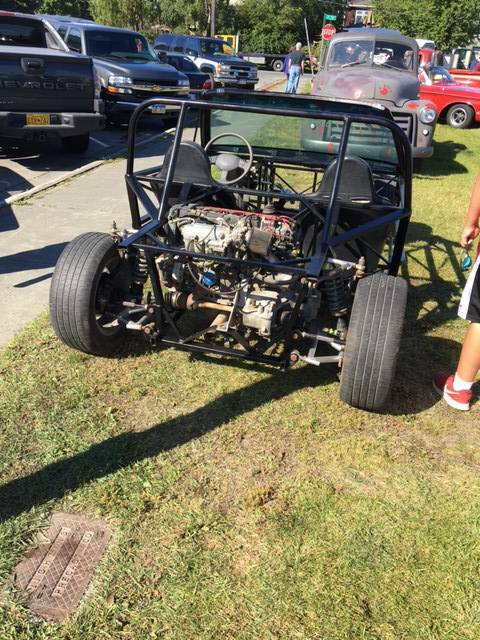 Custom built chassis for auto cross, custom car or what ever your imagination wants to do with it. It has a 1992 Acura Integra motor & 5 speed trans (about 3500 miles on them both) mounted in the rear with fully adjustable suspension, coil over Carrera shocks and 16" wheels.. Wilwood Brake and Clutch pedal assembly and factory Honda brake calipers. There is a fuel cell along with fuel pumps and lines along with the engine and fuel management computer and wiring. 2 Steel Framed racing seats, tilt steering and a shortened shifter. Should do 140 mph plus when completed as it only weighs about 1000 lbs. Fast as hell! I have to many projects and this one needs to find a home where it will be enjoyed and used. Great for autocross, drag racing, road racing, drifting or a custom street car. Colin Chapman would ask why you've got all that extra weight in the huuuuuuge windshield. Guess he knows nobody is gonna go all the way to Alaska for it. Seems like with a vehicle like this, you'd really want a full cage. 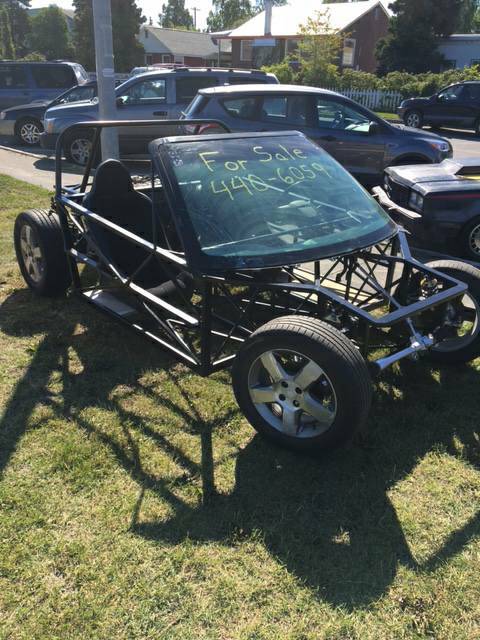 Not just a sketchy rollbar with no diagonal bracing. Fun until you roll it. Alask-a question. Who would go 140mph in this? It's the gravel in the crotch that would be the deal-breaker for me. I feel like you could afford the weight penalty of a complete set of floorboards? From the look of it, the gas tank is between you and the engine? Talk about needing a flame suit! I guess that's okay if you are Johnny Storm.